Mars, the $35-billion American family-owned global manufacturer of confectionery, and Tata Trusts plan to tackle malnutrition among schoolchildren in the 6-18 age group in all population segments by delivering enhanced nutrition products manufactured locally in the country. The two partners introduced the GoMo Dal Crunchies, priced between Rs 10 and Rs 20, for school children, pregnant and lactating women initially in Maharashtra and Uttar Pradesh through select NGOs and other partner organisations. GoMo Dal Crunchies is the first protein-rich nutritional product launched by the Mumbai-based Tata Trusts and Mars, who had signed a memorandum of understanding (MoU) in 2016. The MoU is aimed at developing products that would address the different nutritional needs among the poorest in the country in a targeted manner. The 126-year-old Tata Trusts, which did not disclose its investment in the venture, is the knowledge partner to Mars in getting inputs regarding the nutritional challenges and the taste requirements of Indians. 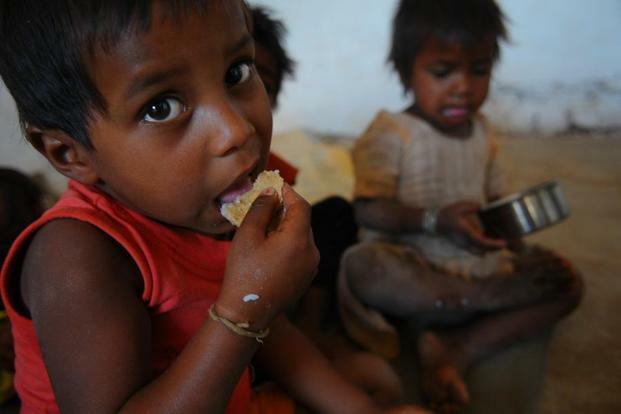 Tata Trusts is engaged in implementing a three-pronged approach to tackle malnutrition, including helping government strengthen existing systems like Integrated Child Development Services, working with the government on policy and advocacy on interventions like food fortification, and supporting direct production-distribution of affordable nutritious products. GoMo Dal Crunchies are produced at the $75 million Mars factory in Khed, near Pune, where the American firm has invested an additional $11 million or about Rs 85 crore to produce nutritional products in an effort to mitigate malnutrition in India. “Nutrition is an area of great concern. About 40 per cent of kids in India under the age of 5 are stunted and 20 per cent of them are wasted,” Ratan Tata, chairman at Tata Trusts, said. He said the partnership with Mars is aimed at addressing some of these challenges in an enjoyable and affordable manner. Tata said this new venture was the “start of a long journey” to produce nutritional and enjoyable food for Indians in all age groups in an affordable manner. “GoMo Dal Crunchies is the first of the many products that we will co-develop. For starters, GoMo will be sold in rural parts of Maharashtra and Uttar Pradesh, covering over 45,000 villages,” said Atul Sohoni, country director at Mars Edge, a subsidiary of Mars dedicated to health and wellness through targeted nutrition. Stephen Badger, chairman at Mars, said the world is facing huge social, environmental and health challenges that require forward-thinking partnerships and collaborations like the one with Tata Trusts whose commitment to improving the quality of life and nutrition in India made them a natural partner. The firms said they will target the market through kirana stores and women self-help groups, which will sell their products through door-to-door campaigns in the targeted markets.